WITH only a few sleeps until the big day everyone at The Allanwater Brewhouse has been doing their best to ensure that Christmas Cheer is all around! 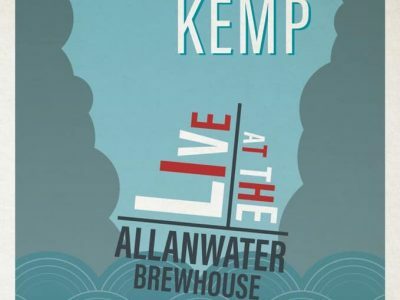 As usual we are on a mission to make sure that the very best local live entertainment is ready to take to The Brewhouse stage for the weekend before Christmas and that something very special will be pouring at our bar. 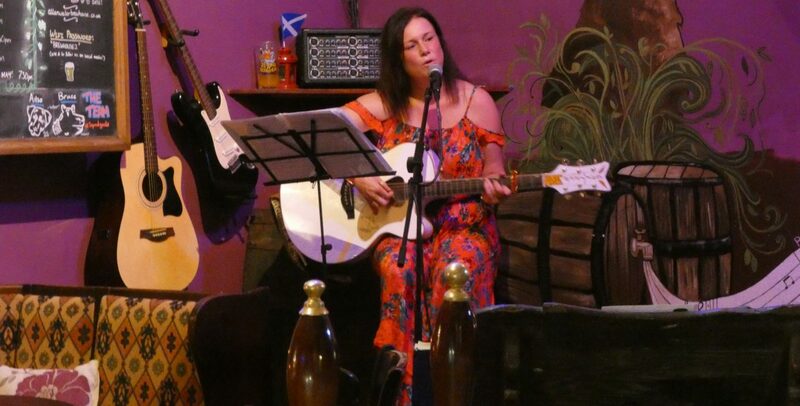 So this Saturday (22nd December) back by popular demand, we will welcome the Falkirk songbird Fiona McTaggart (pictured above) to the stage for our marquee 9pm night slot. Fiona’s dulcet tones and impressive guitar playing will take us through a range of popular standards and ballads and in particular keep your ears pealed for the Bruce Springsteen classic ‘I’m On Fire’ and a real favourite of ours at The Brewhouse, which makes us all happy to be at our home hearth, the Dougie MacLean classic ‘Caledonia’. Next we are delighted to reveal that we have a particularly festive Brew of the Week to help fill you with warmth during the 12 days of Christmas. 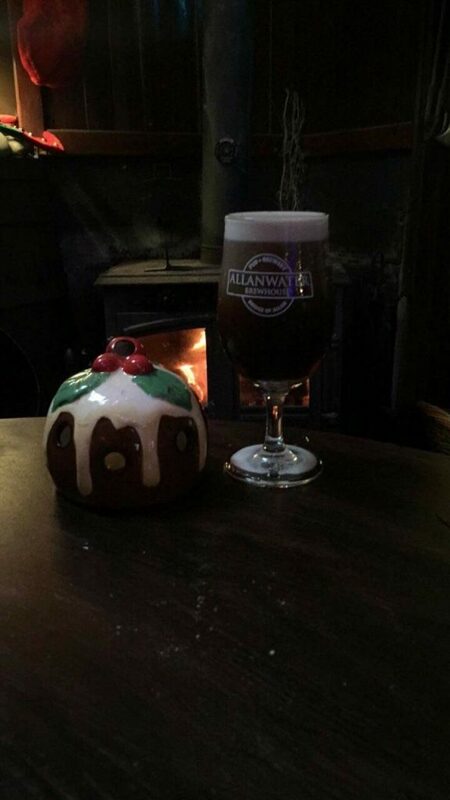 Yes, our classic seasonal pint the ‘Christmas Pudding’, pictured below, is once again occupying pole position at the Brewhouse bar and what a dark and delicious pint it is too! Weighing in at 7% this is the mother of all winter warmers packed full of seasonal spices, festive fruits and dark molasses. Christmas Pudding really is the embodiment of Christmas cheer….we promise you! Naturally, if you want the full low down on one of the highlights of the Brewhouse brewing year check out our Brew of the Week Vlog hosted by our man of many talents….Adam John Paterson! While the Brewhouse will shut early on Christmas Eve at 7pm we will be open again Thursday, December 27 at 12 noon, with business as usual for the weekend. However on Friday December 28th we have a real festive treat for you! 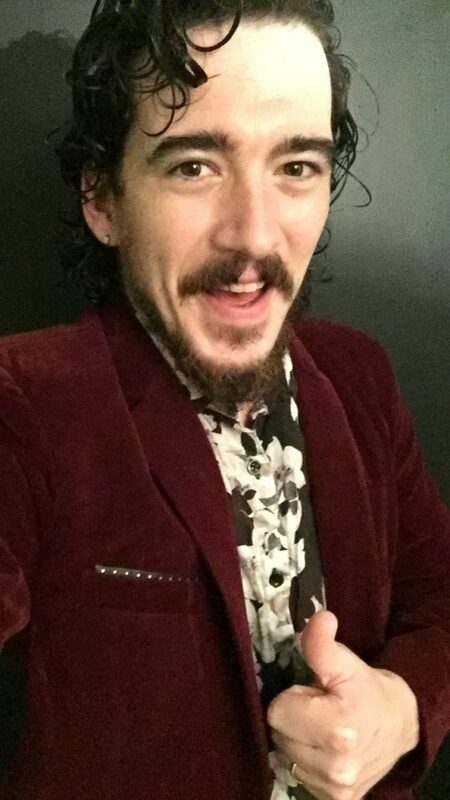 The annual festive Brewhouse quiz: ‘That Was the Year That Was…2018!’ composed, compered and conducted by, yes, you’ve guessed it, the one and only Adam John Paterson, resplendent in his superb festive burgundy velvet jacket, will kick-off at 8pm! (Friday 28th December) Warning…….. below is a scary photograph and not suitable for those of a delicate disposition!!!!!! Teams of three persons up to six are invited to pit their wits, test their knowledge, pontificate and prevaricate over a selection of questions that will test your knowledge of all things 2018! Spanning general knowledge, sport, film & TV, literature, current affairs & politics, music and the unique and exclusive ‘Alky-traz’ round, designed by the permanently parched Paterson to strain your little grey cells to the limit on the subject closest to our hearts….booze! Interested? 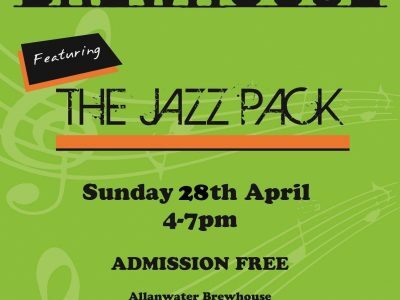 Don’t hesitate to call us here at The Brewhouse on 01786 834555 to register a team…naturally the most imaginatively named outfit will be rewarded! If all of that sounds like thirsty work, we have the ultimate thirst quencher for you, which we are sure will also provide you with plenty food for thought! Yes, The Brewhouse traditional Mulled Cider is on standby to help ward off the winter chill. Made from traditional farmhouse cider, this scintillating ‘6 percenter’ includes wine, rum, fruit juices and seasonal spices. 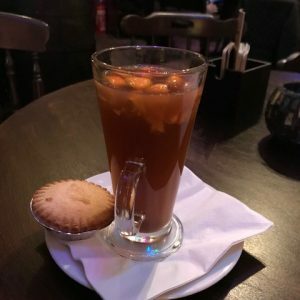 Available in a special £4 ‘large’ glass, the Mulled Cider can be specially ‘souped up’ with a festive measure of Drambuie to make sure you are never left out in the cold! 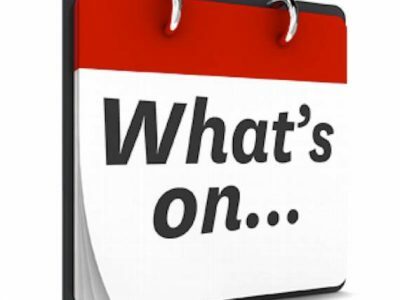 But before we go it’s time to look back at the week that was! As always our friends at The Jazz Pack were at their urbane best as they treated us to another flawless set of classics that left a packed audience purring, while a cameo role from some young ‘Friends of the Pack’ is something we may see more of in the New Year. 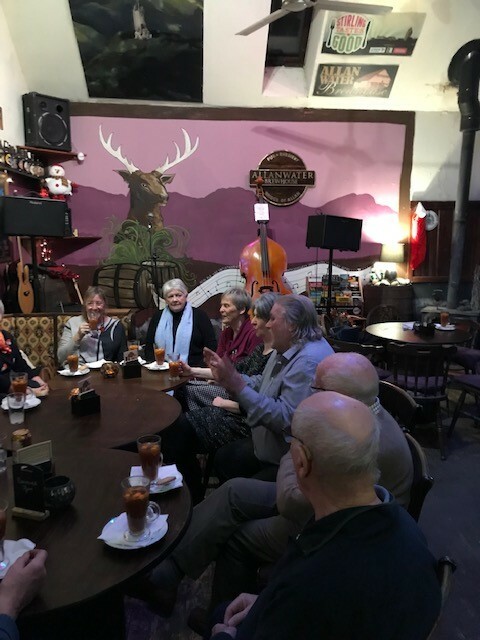 At this time of the year it’s always nice to receive a visit from friends and on Tuesday we were delighted to host a ‘Mulled Cider & Mince Pie Evening’ get together for Bridge of Allan’s most important group of chums, ‘The Friends of Bridge of Allan’! Below we have rare footage of our ‘reclusive’ owner Douglas in full flow as he regales ‘The Friends’ with a tale of the unexpected as they enjoyed another of our seasonal delicacies and the big fellow was keen to pay tribute to these hard-working volunteers who do so much to ensure Bridge of Allan remains blooming marvellous! 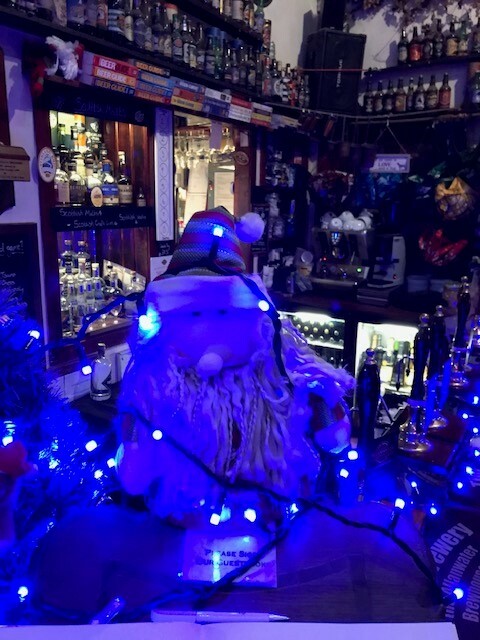 Douglas said: “The Friends of Bridge of Allan give so much to help making our village the place that it is and it’s always nice to host a wee get together and treat them to a mince pie and some mulled cider. “They work so tirelessly to make this place welcoming and friendly and they are a lovely bunch of people so it was just great to catch up! 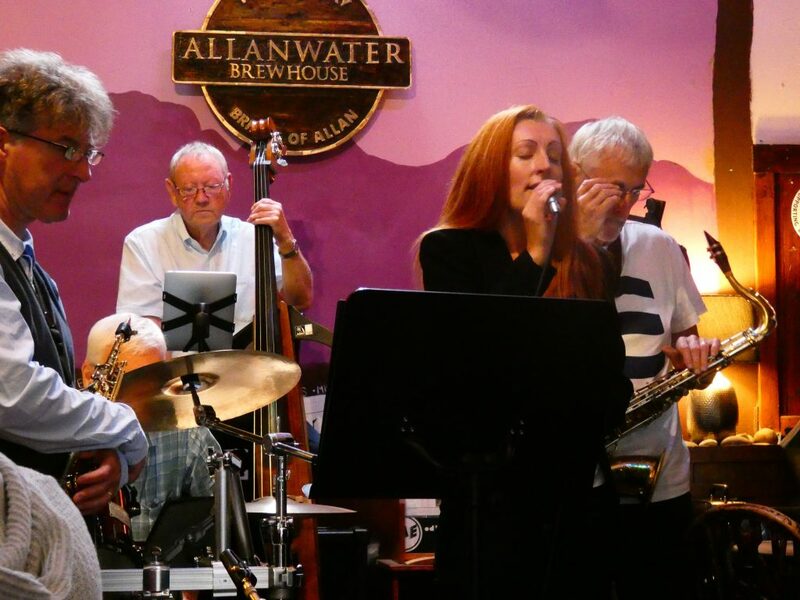 With another of The Brewhouse’s old friends, John Boyd in fine voice as he ran through his elastic repertoire, the atmosphere on Tuesday night was full of seasonal goodwill. Always a musician who performs with a nod to the season (! 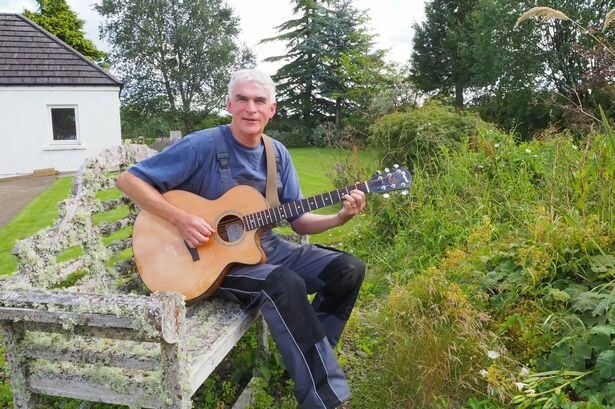 ), John’s soft tones were at their sumptuous best as he crooned his way through classics like ‘ A Good Year For The Roses, and ‘The Summer Wind’ and we look forward to his return in 2019. Now, afore ye go, we’d like you to meet a new member of The Brewhouse family, Doug-less, and if you care to drop in and share a jar or two with us over this festive he will be delighted to meet you! From everyone at The Brewhouse we would like to to wish all our patrons and friends a very Hoppy Christmas!